This interesting plant is in the sweetpotato family (Ipomoea) with a shrub-like growth habit. 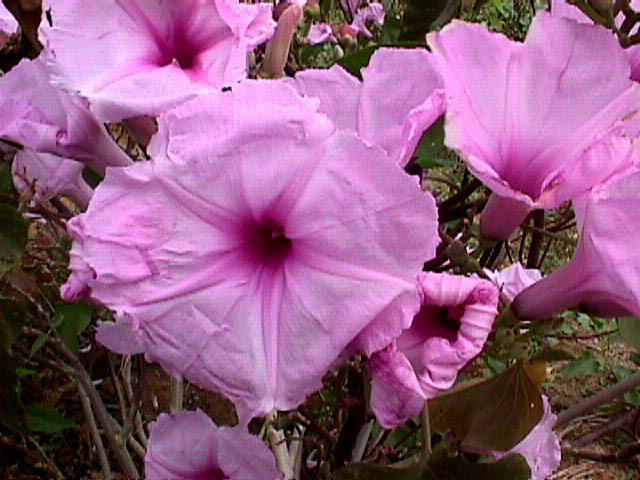 The scientific name is Ipomoea fistulosa. 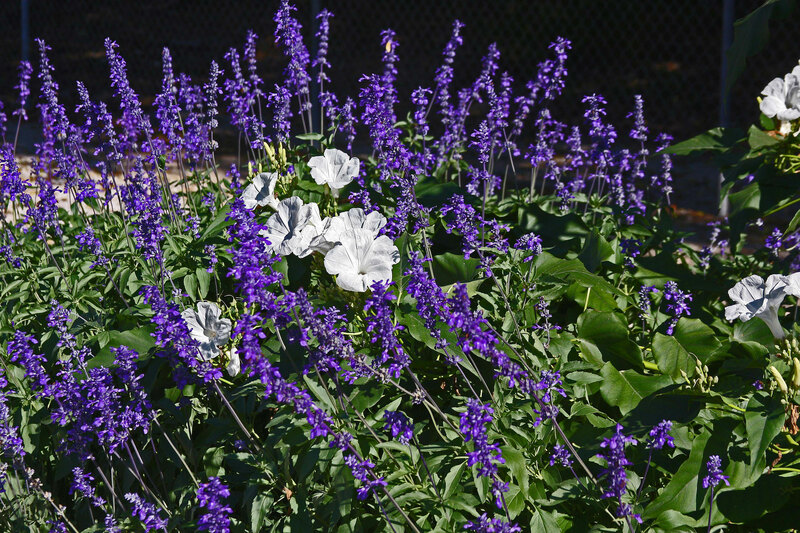 It is described as growing in exceedingly dry places and can be considered a xeriscape plant.The bush morning glory is the most prolific bloomers of any of the summer perennials. The plant is covered with medium-size, light pink (there is a white form available) blooms all summer. Blooms last only one day but clusters of blooms are formed in the axil of every leaf. Plants can get 6-8 feet tall with multiple trunks. 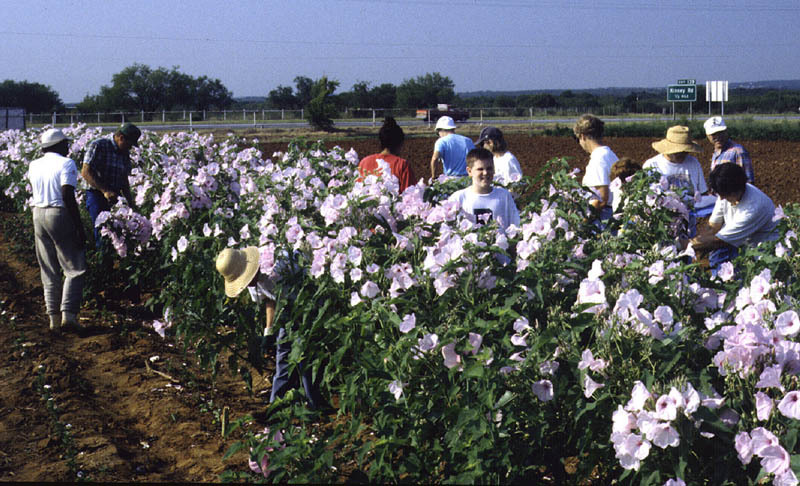 When hard frosts kill plants, the tops should be removed; in South central Texas plants will sprout again from the hardy root system the following May. 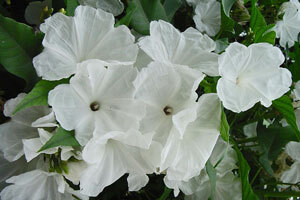 Once established the bush morning glory is a tough (drought-tolerant and heat-tolerant) plant. 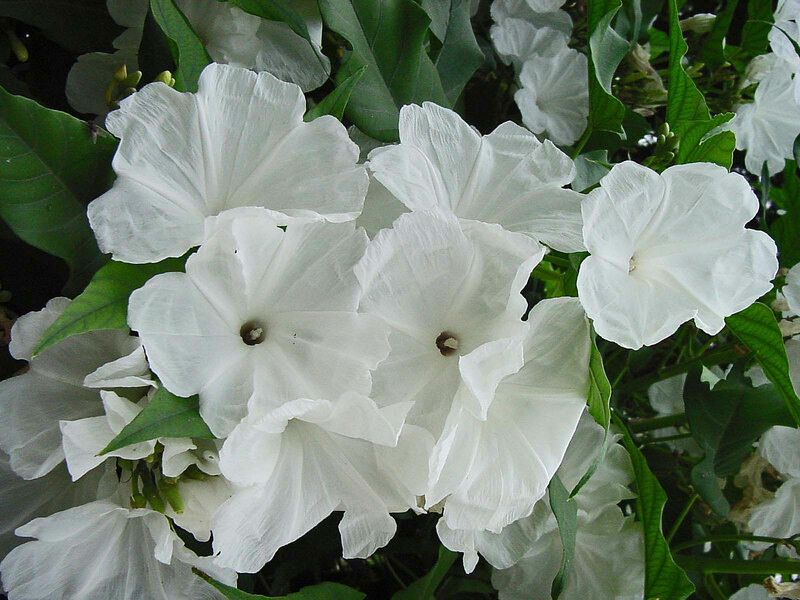 It blooms best in direct sun and will not bloom as well if receiving less than 8-10 hours of direct sun. 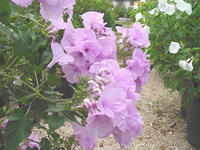 Plants can be cut back monthly to encourage branching and increase blooming surface. Cutting back in July will reduce plant height and encourage a spectacular fall bloom. This is written about this plant in India: "It is not eaten by livestock (ducks, goats, cattle, buffalo, elephants, etc.) 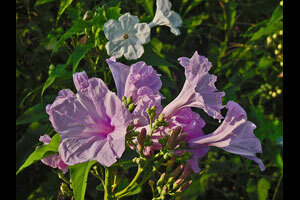 and is easily propagated by stem cuttings and withstands periods of flooding and desiccation. It makes an ideal living fence and is easier to manage than the common alternatives: upright cacti succulent euphorbias or thorny species of Acacia and Prosopis. Under dry conditions it does not seem capable of tolerating much competition but in water or mud it is highly competitive. Under wet conditions the stems become inflated and may be as thick as a human arm. These inflated stems are hard and not spongy as one might expect. Also they are capable of rooting. 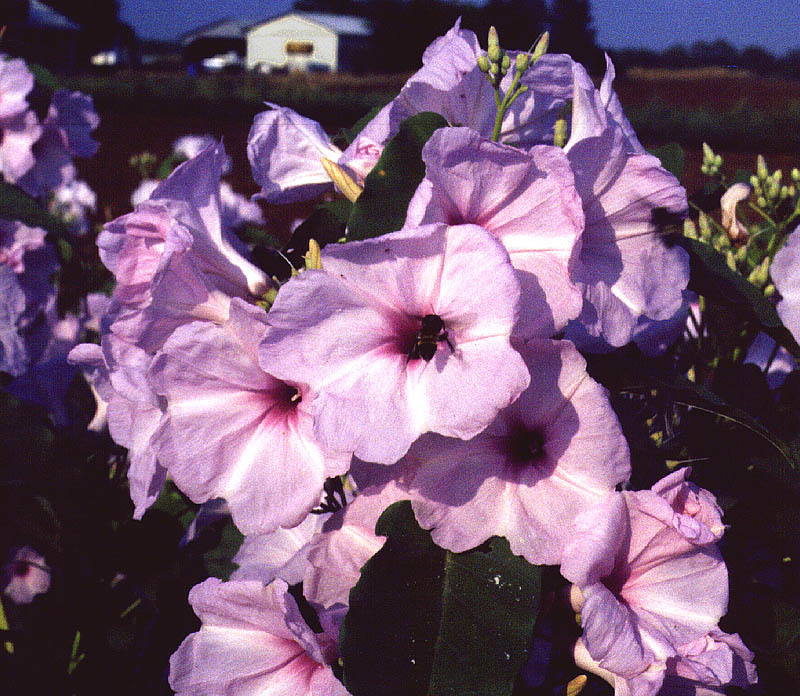 In regions that are regularly flooded Ipomoea fistulosa is often dominant and forms stands of several hectares. " 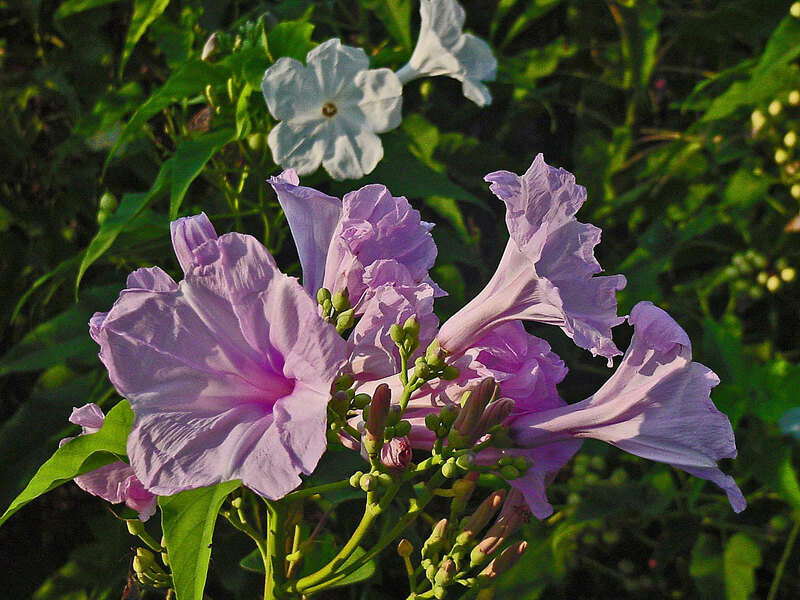 In other words, this plant is tough and beautiful in water and in drought and, MAYBE, the deer won't prefer it! !